A resident of Return to Freedom Wild Horse Sanctuary, this Cerbat stallion, Ambrasador Amante (translated as: Fiery Lover), plays a significant role in the conservancy’s Conservation Program. 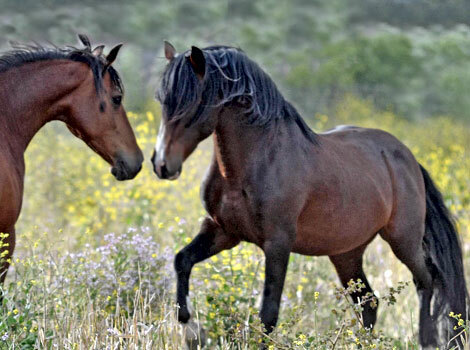 The Mustangs from the Cerbat Mountain area of northwestern Arizona are some of the purest Spanish descendants in the United States. With less than 70 living in the wild, and very few in domestic breeding programs, he is a rare find. This handsome stallion had wandered off his range and managed to break into a neighboring ranch taking several mares back into the hills with him. The owner of the mares went through quite an ordeal to gather them back up. Since his capture, this stallion has been held in a government (BLM) corral for three years looking back at freedom and the high snow covered peaks that were once his home. 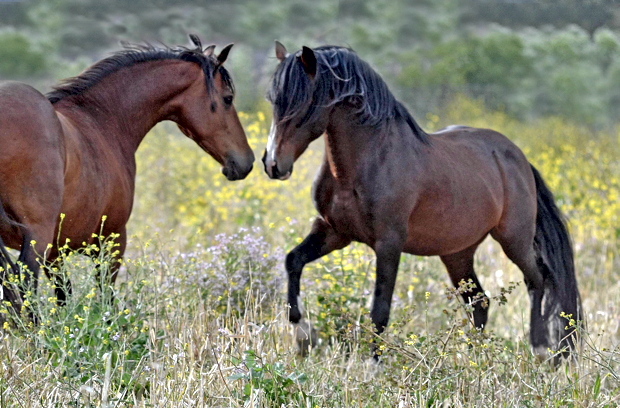 For more information on the Mustangs of the Cerbat Mountain area, go to our Resources page.